Andalucía is the region of Spain located at the Southern tip of the Iberian Peninsula as well as one of the most overlooked and underappreciated culinary-rich regions in the world. 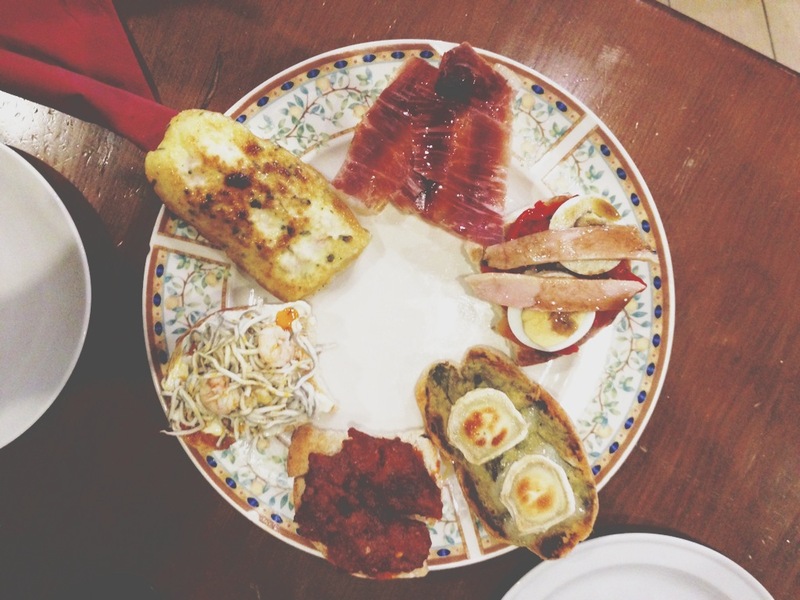 The South of Spain is filled with all kinds of delicious delicacies that nobody knows about because they’re too busy appreciating the Basque country and its modern bite-sized tapas known as pintxos. It’s time for the North to stop stealing the spotlight and for the South to step out of the shadows and let the world know just what it has to offer. 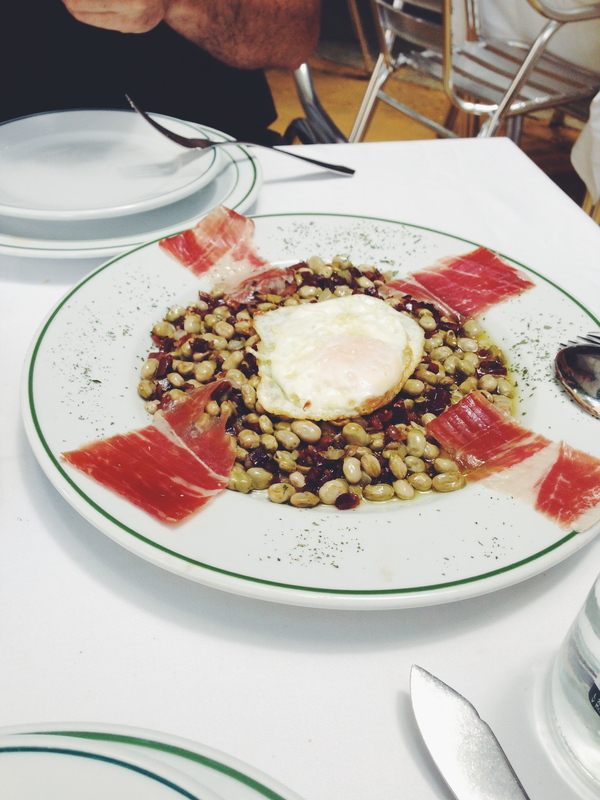 Here we’ve collected a list of the five must-try foods in Andalucía. 1. 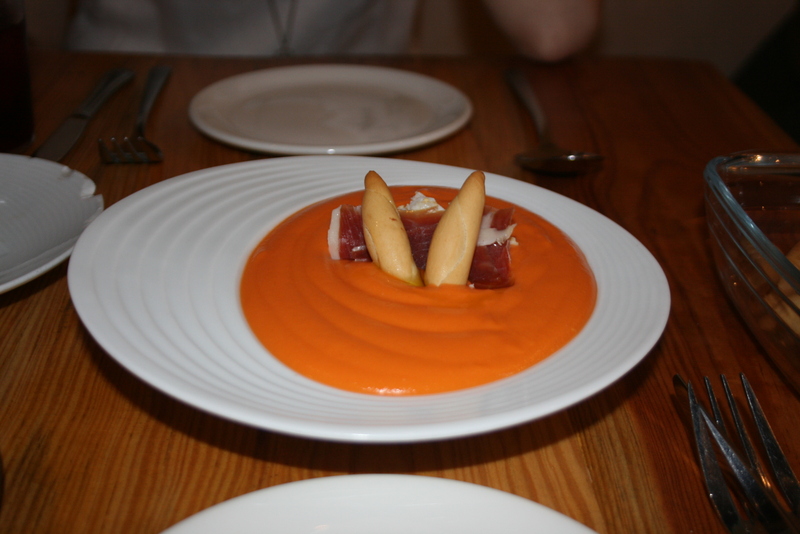 Salmorejo is a close cousin to gazpacho, but so much more delicious. Gazpacho is the thin cold tomato soup made from fresh tomatoes, cucumber and pepper, and though it’s delicious, it has nothing to do with salmorejo, which is also a cold tomato soup but thickened up with lots of day-old bread. Its smoothie-like texture and bright tomato flavor make it a beautifully unique dish from Andalucía and also one of the most refreshing things to eat on a hot summer day. 2. 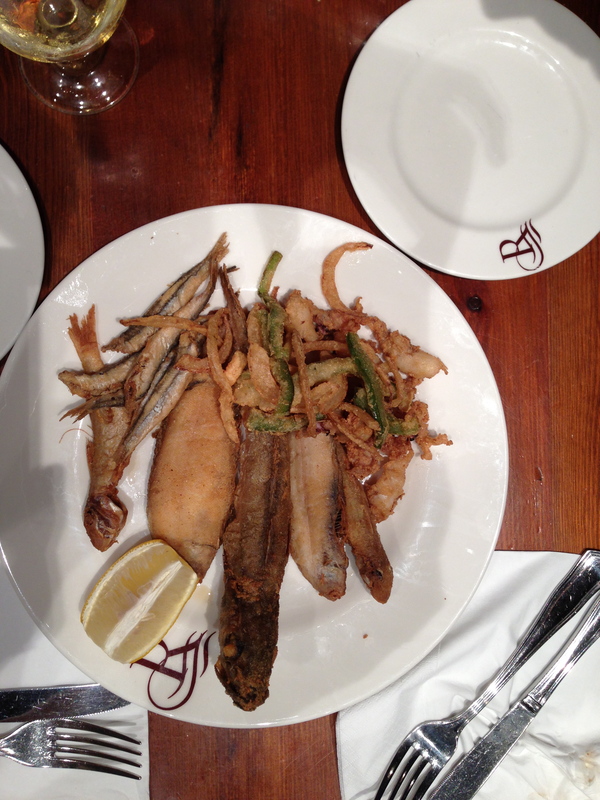 Andalusians do pescaito frito, which translates quite simply to fried fish, better than anyone else in the world. By taking an exquisitely fresh ingredient and treating it quite simply, the fried fish in Southern Spain is easily one of the most delicious and most-commonly served dishes in Andalucía. Fish like cod, dogfish, hake, calamari and so much more are lightly fried in vibrant olive oil from the region and given a little splash of lemon. It sounds simple and it is. And it’s this simple preparation that really helps the freshness shine and the fish truly triumph. 3. Now this may not seem like a very traditional Spanish cuisine, but little sandwiches called montaditos are actually extremely popular all over the South. They’re easy to eat, and the little buns serve as excellent vehicles for Spanish flavors that pack a punch. By far the most delicious little sandwich served at most bars is called a serranito, which consists of a thin piece of grilled pork loin, a slice of cured ham and a deliciously fried green pepper. 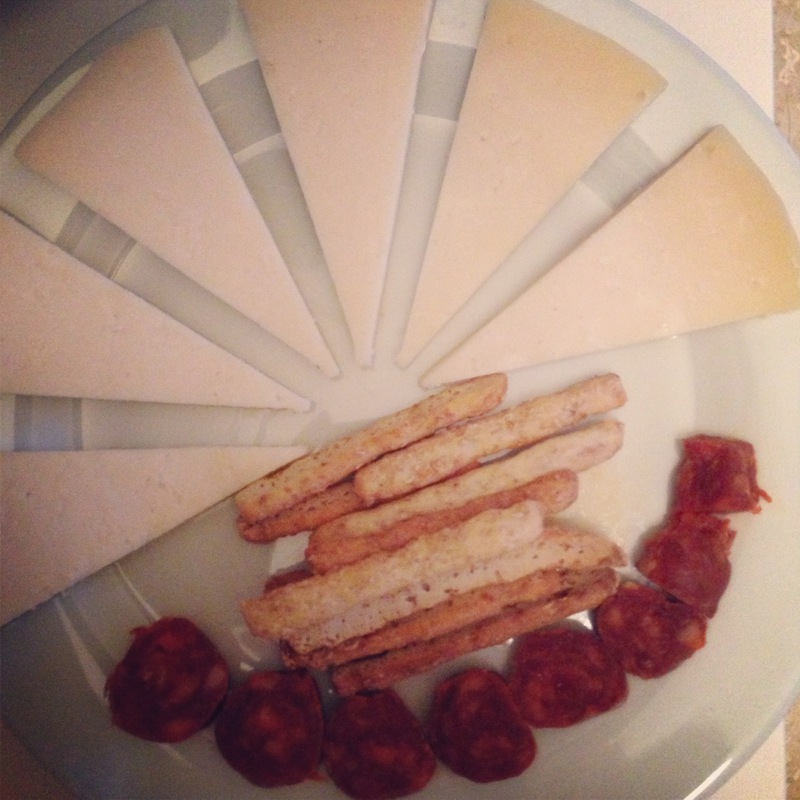 These flavors, which are so typical in Andalucía, meld perfectly and form the perfect tapa for a night out on the town. 4. Caracoles, which translate to snails, can be found throughout many different cultures, and it seems as though each place has its own special way of preparing them. 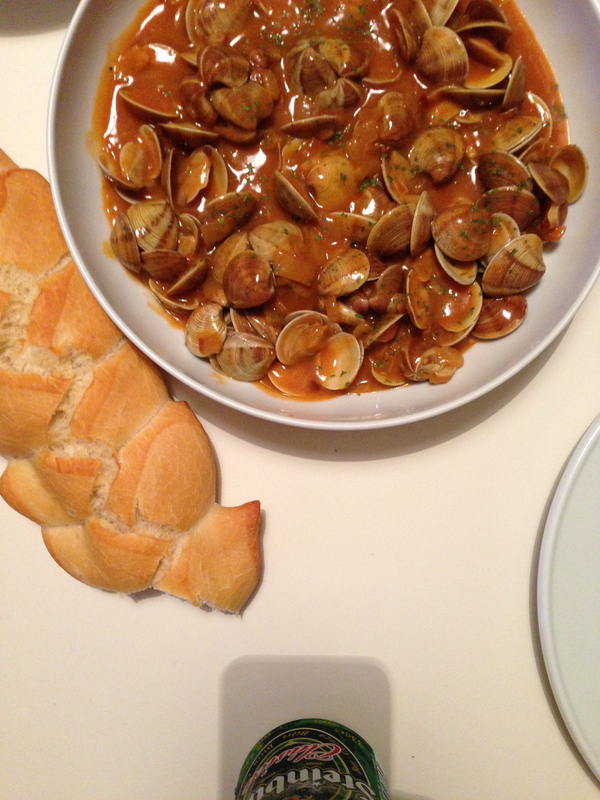 In Andalucía the snails are stewed and served in a deliciously-spiced broth laced with cumin and black pepper, and after you fish out every last little snail from the glass, it’s not uncommon to sip on the warm broth. It’s a dish of comfort and flavor, and the perfect way to warm up on a rainy day. 5. Last but certainly not least is the infamous jamón, raised and cured in Spain. Pigs in the south are raised with the intention of making this delicious stuff, and the highest-quality jamón comes from pigs that are fed solely acorns. After the pigs are slaughtered, the legs of the animal are cured in salt and left to dry, allowing the salt to completely penetrate the pig leg. This process takes a little bit of time, but the end product is well worth the wait. 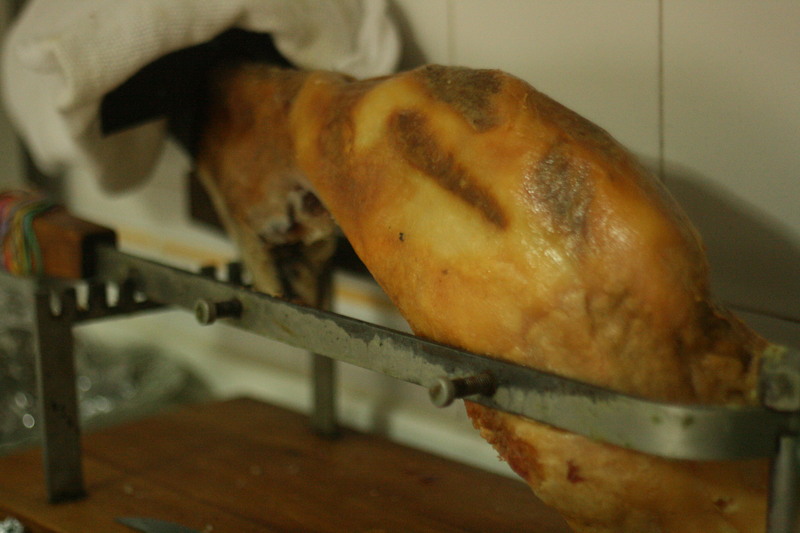 This deliciously salty ham is a staple within each and every restaurant and bar in Spain, and most families even have a leg of cured ham in their kitchen. You can’t visit the South of Spain and not try this delicious food, either as a small tapa with bread or tucked right inside a baguette for a perfectly filling meal. Make sure to get the jamón de bellota, which is the highest-quality ham offered because it comes from pigs who were only fed acorns, giving the meat a much richer flavor.